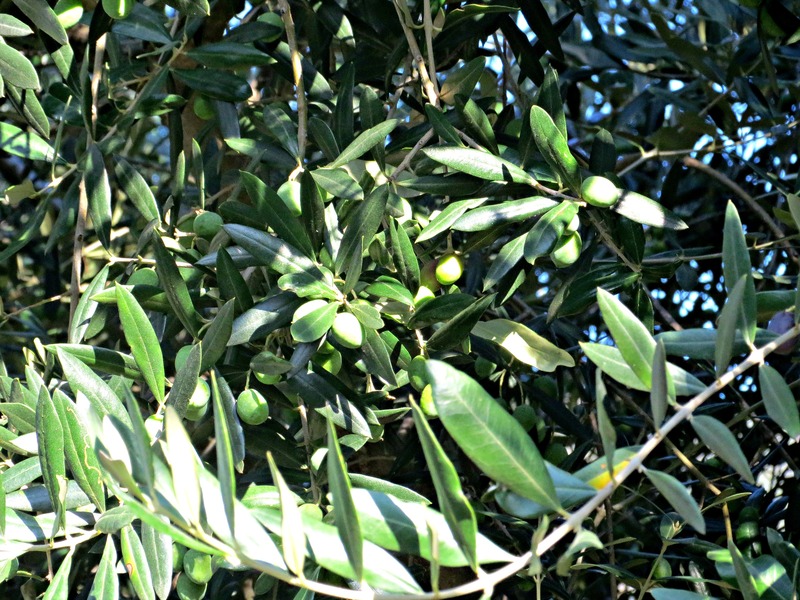 Having watched the olives ripening on the trees over the past few months, while walking in The Euganean Hills, it was fascinating to watch them actually being turned into olive oil. Yesterday, as a newly arrived Irishwoman to my new home in Italy and still with much to learn about my adopted country, Italy, I headed off to see a frantoio (olive crusher) here in the Euganean Hills at Valnogaredo. 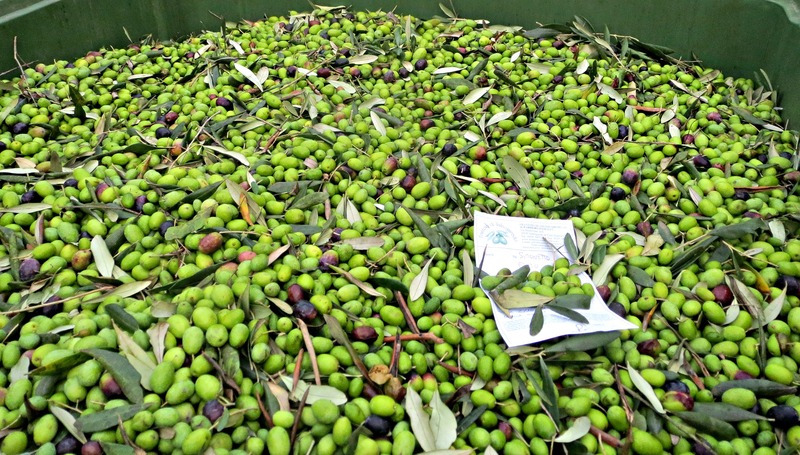 I looked in amazement at the huge containers of olives being offloaded from tractor trailers and brought to be crushed.. 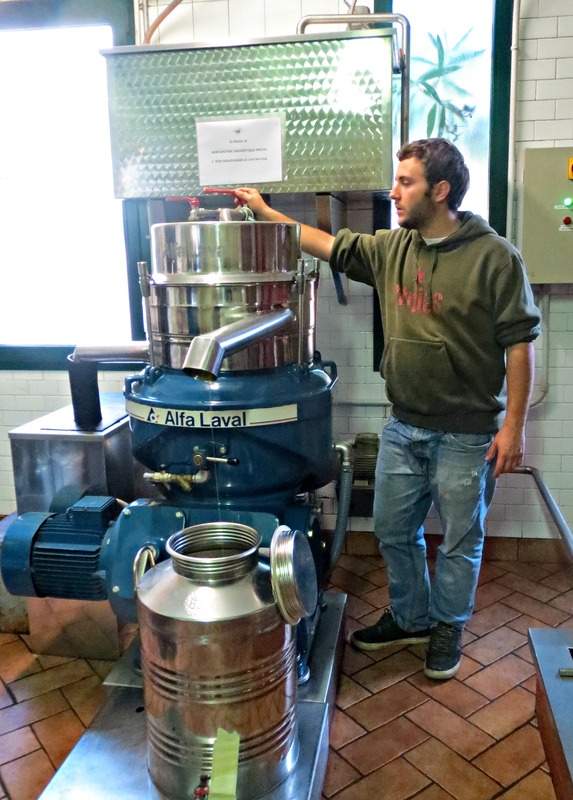 I watched the big stone wheels turning them into thick, green olive oil and being freshly bottled. Obviously, I purchased a couple of litres and rushed home to try it out with fresh mozzarella, tomatoes and crunchy bread. 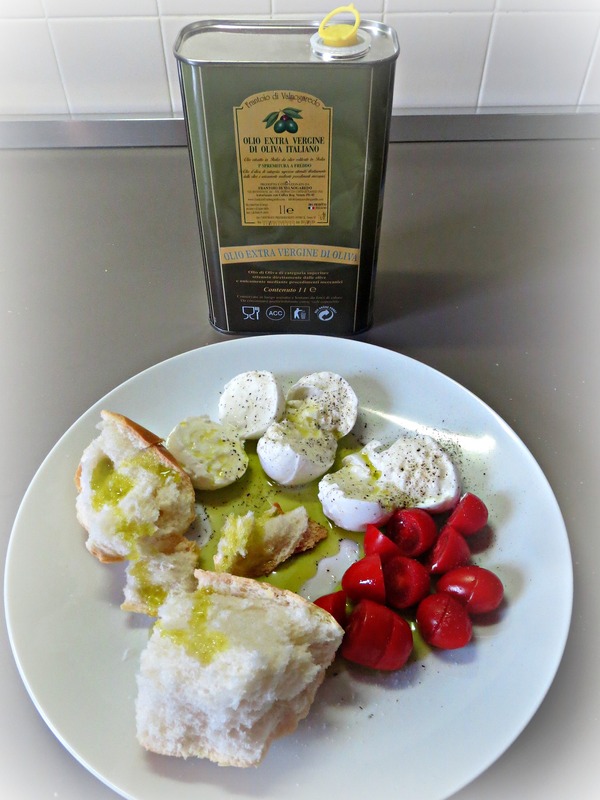 The fresh olive oil is quite cloudy and not as clear as you will find in the supermarkets in Ireland, that’s for sure..But the difference in taste is quite remarkable; absolutely delicious with a slightly peppery taste.